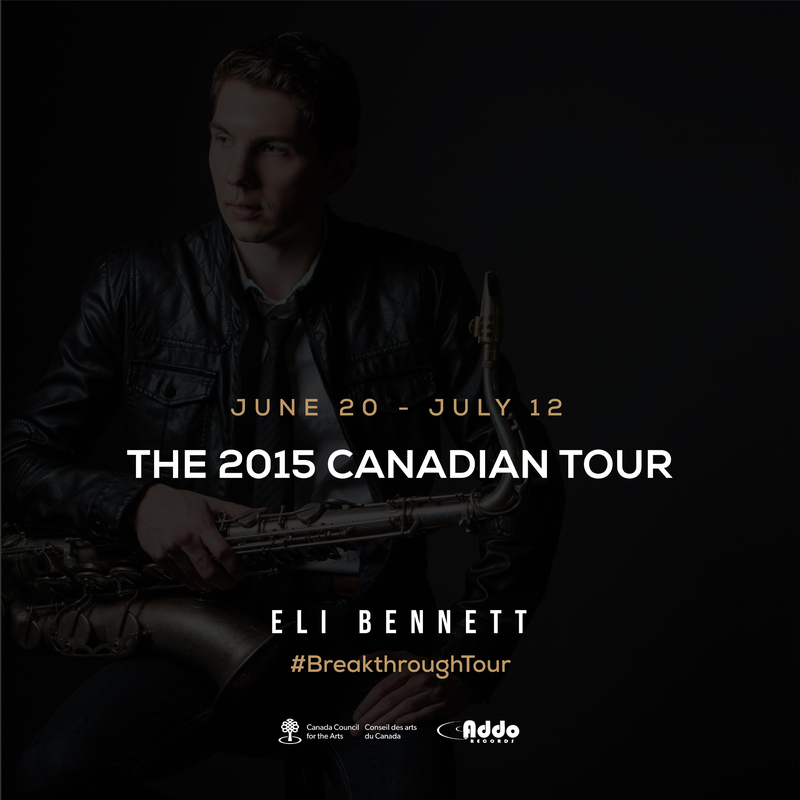 Thirty-five-time award-winning jazz saxophonist and 4-time Leo-Nominated film composer Eli Bennett embarks on a 2015 Canadian Jazz Festival tour with his band in support of his critically acclaimed debut album Breakthrough. 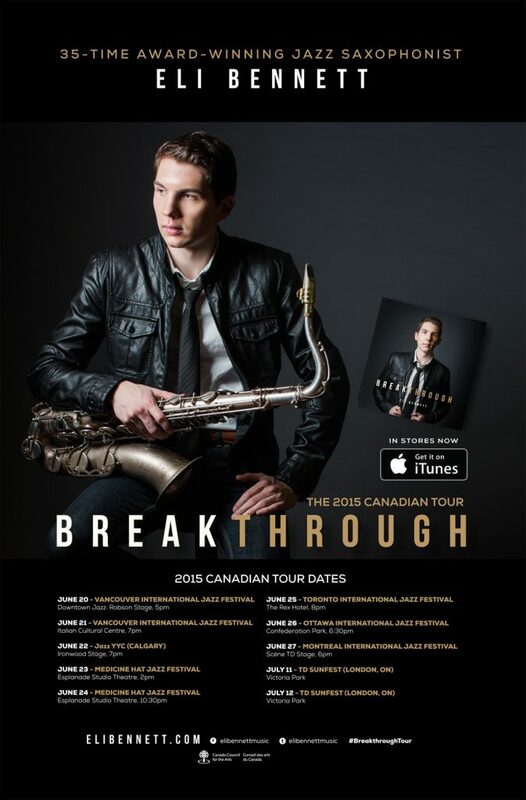 Since its release Breakthrough has received international attention, ranking #3 on the Canadian National Jazz Charts in December 2014, and #14 on the US CMJ National Jazz Charts, while being featured on the homepage of iTunes Canada Jazz for two months as one of the top Canadian jazz albums. It was also named the “#4 Best Jazz Debut Album” of 2014 by the Ottawa Citizen and received rave reviews from All About Jazz and WholeNote magazine in addition to receiving major radio play in North America and Europe. 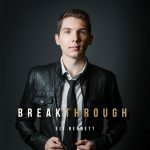 In 2015, Breakthrough won the Julian Jazz Award from BC’s CJSF 90.1FM for Best Canadian Jazz Album by an Emerging Artist as well as a 2015 Western Canadian Music Award Nomination for Jazz Album of the Year. With ten shows in seven cities, the Canadian tour will see Eli Bennett’s Quartet featured at jazz festivals across Canada beginning in Vancouver, with stops in Calgary, Medicine Hat, Toronto, Ottawa, Montreal, and ending in London, Ontario. Thank you to the Canada Council for the Arts for making this tour possible. Thank you to D’addario Canada, D’Addario Woodwinds, Selmer Paris and Applied Microphone Technology for their support.